Featured Customer: Record Technology, Inc.
Record Technology, Inc. is a world class record pressing plant located in Camarillo, California. They press for most audiophile record labels and for many quality minded independent and major record labels from around the world. 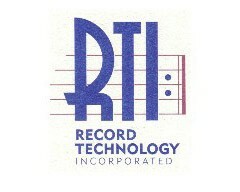 With the old style vinyl record albums resurging in popularity, RTI is busier than ever. RTI uses ClearBags Album Sleeves to protect, store and market the records they press. It is critical that their records get packaged within 24 hours of being pressed to insure they do not get exposed to dust or other contaminants. ClearBags is happy to be associated with RTI and excited to be part of this extraordinary process that provides such a high quality music experience. 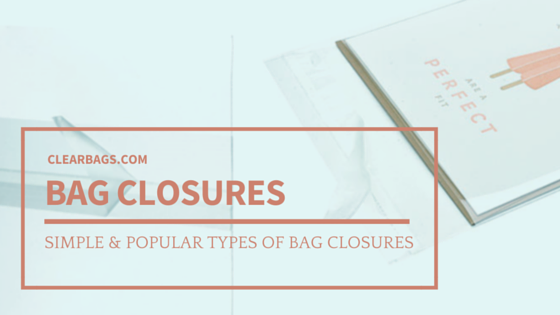 We at ClearBags know that the secret to our bags’ success is in how you use them, and one of the most important considerations in using a bag is finding the best way to seal it. Nearly every bag needs to be sealed in order to prevent spilling, spoiling, contamination, moisture and more. There are several simple ways to seal a bag. The following describe the different advantages of the most popular ways to seal our bags. Zip Bags - Zip bags are a popular choice, because they are easy to both seal and reseal and can also become air tight/nearly air tight with ease. Our Stand Up Zipper Pouches are quickly becoming one of our most popular bags. They combine a heat seal option at the top of the bag with a tear-away notch for easy opening, then a zipper closure right below the tear-away for repeated opening and closing. 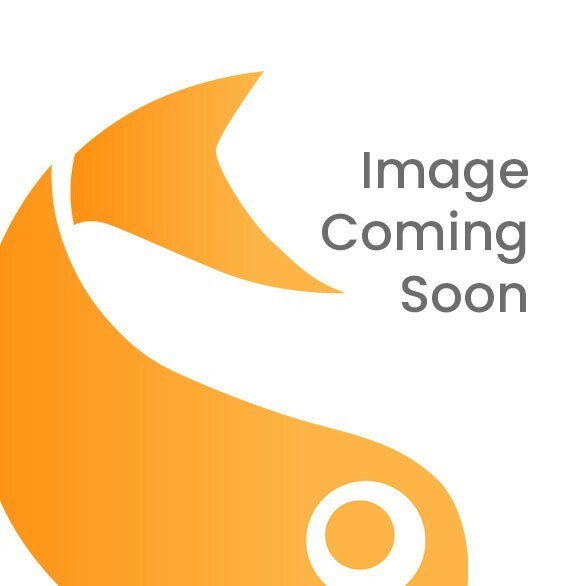 Flap Seal - Our flap seal bags have adhesive on the flap. Simply pull the protective tape off and then seal using the adhesive. Flap seals also make your bag adjustable to the height of your product. Flap Seal Bags come in re-seal, and permanent seal forms. Protective Closure - For your artistic products, like photos and greeting cards, protective closure bags have the adhesive on the outside of the bag to prevent the adhesive from coming into contact with your product. Heat Sealing - Very popular. Use a heat sealing tool to keep the bag closed and air tight. 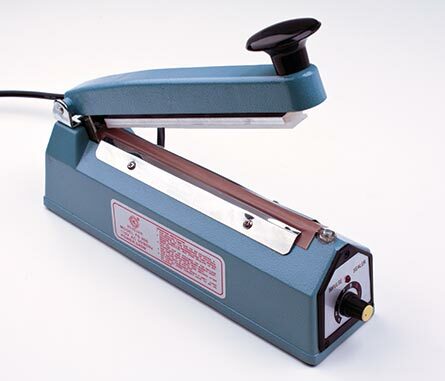 See our economical Hand Sealers. Header Card - Economical. Fold the bag over, place a header card on top, and staple. Label Closure - Easy Application. Fold the bag at the top, and then use a label to seal the fold in place. We also carry decorative closures, like Ribbons, Pre-tied Bows, Twist Ties, and Elastic and Vinyl Stretch Loops, to secure your bags and boxes. If you need more details about closure options, just call us. We are happy to help.